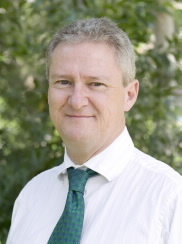 Professor Chris Cocklin is the Provost and also fulfils the requirements of the Deputy Vice-Chancellor (Research and Innovation) at James Cook University. He was appointed to the position of Senior Deputy Vice-Chancellor in 2011, having previously served as Deputy Vice-Chancellor (Research and Innovation) and Pro Vice-Chancellor of the Faculty of Science, Engineering and IT at JCU. Prior to his appointment at JCU Professor Cocklin was employed for 10 years at Monash University, where he was Head of the School of Geography and Environmental Science and the inaugural Director of the Monash Environment Institute (now the Monash Sustainability Institute). Professor Cocklin was based at the University of Auckland from 1985-1997. In his current role Professor Cocklin has oversight responsibility for the six colleges of JCU and line management responsibility for the two academic divisions in which the colleges are situated. He also holds portfolio responsibility for the Division of Research and Innovation and Aboriginal and Torres Strait Islander affairs. His research interests are in resources and environmental policy, agriculture and rural communities, global environmental change, sustainable development, and corporate environmental management. Professor Cocklin is presently a member of the International Scientific Advisory Committee, Great Barrier Reef Foundation, a Director of the North Queensland Commercialisation Company Pty Ltd and of JCU Enterprises Pty Ltd, a member of the Board of Trustees of the Townsville Grammar School, a member of the Advisory Committee for the CRC for Water Sensitive Cities and a member of the Advisory Board of the Australian Institute for Tropical Health and Medicine. From 2009-11 Professor Cocklin was the convenor of the Innovative Research Universities (IRU) Deputy Vice-Chancellors (Research) Group and served at the same time on the Executive Committee of the Deputy Vice-Chancellors (Research) Group, Universities Australia. He was a Member of the Queensland Premier’s Advisory Council on Climate Change from 2008-11. He also served previously as a Member of the Board of Tropical Landscapes Joint Venture, on the Board of the Australian Tropical Herbarium and on the Board of the Reef and Rainforest Research Centre. Other positions have included as a Director of Greening Australia (Vic), member of the Victorian Catchment Management Council, a member of the Advisory Board of the National Climate Change Adaptation Research Facility and as a member of the Australian Academy of Science National Sustainability Committee. Professor Cocklin was appointed to the Scientific Steering Committee, Global Environmental Change and Human Security (GECHS) Project of the International Human Dimensions of Global Change Programme (IHDP), as Chair of the Australian Eco-share Fund/Sustainability Fund Advisory Committee (on behalf of Westpac Investment Management and Monash University) and as a Director of the Australian Housing and Urban Research Institute (AHURI). In 2004 he was appointed by the Intergovernmental Panel on Climate Change (IPCC) as a Lead Author of the Fourth Assessment Report. He was an invited participant in the Prime Minister’s Australia 2020 summit, held in 2008. Over the course of his career, Professor Cocklin has published more than 200 articles, books, research monographs, technical reports and reviews. He has delivered more than 140 presentations to professional conferences and meetings, including 40 invited/keynote addresses.